Isabelle played her first leading part at the age of twenty-two in the highly-regarded production of Barnum, after which she starred in Le Passe Muraille (Michel Legrand), Singin’ in the Rain (awarded two Molières), La Périchole (Jacques Offenbach/Jérôme Savary), and Nymph Errant (Cole Porter) at The Chichester Festival in the U.K.. 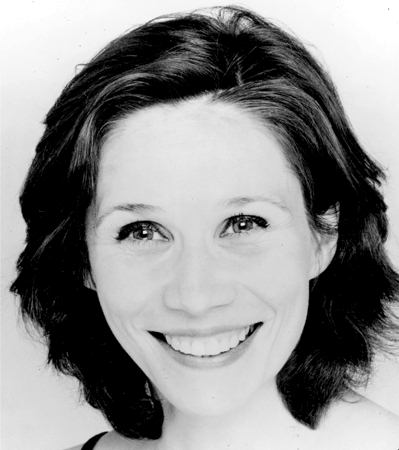 In Belgium, she starred as Kate McGowan in the European premiere of Maury Yeston’s Titanic, the Musical. Steven Spielberg’s Dreamworks entrusted her to sing the part of Tzipporah in the French version of The Prince of Egypt. In 2002, she created Judy and Me, with Frederik Steenbrink, a show dedicated to the woman who inspired her to become a performer: Judy Garland. Isabelle starred in L’Air de Paris, alongside Patrick Dupond, Et si on chantait, and Le Petit traité de manipulation à l’usage des honnêtes gens. (English title: Small Handbook of Manipulation Intended for Honest People). Besides her theatrical career, she works for television and cinema (L’Un dans l’autre by Audrey Schebat) and collaborates with the Yiddish band Sirba Octet, with whom she created the shows From The Shtetl to New York and Yiddish Rhapsody. 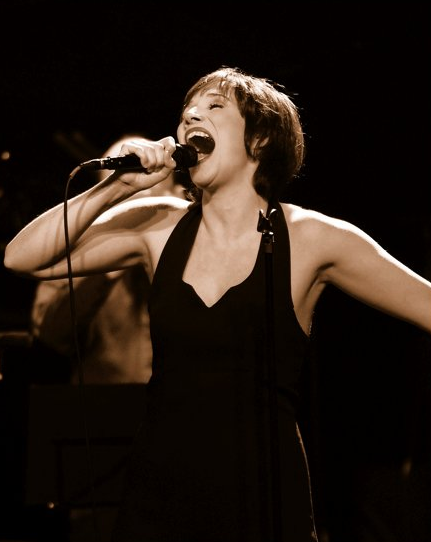 After her huge success at the prestigious Edinburgh Festival Fringe in 2005, Isabelle performed Judy and Me at the Adelaide Cabaret Festival in Australia in June 2007. 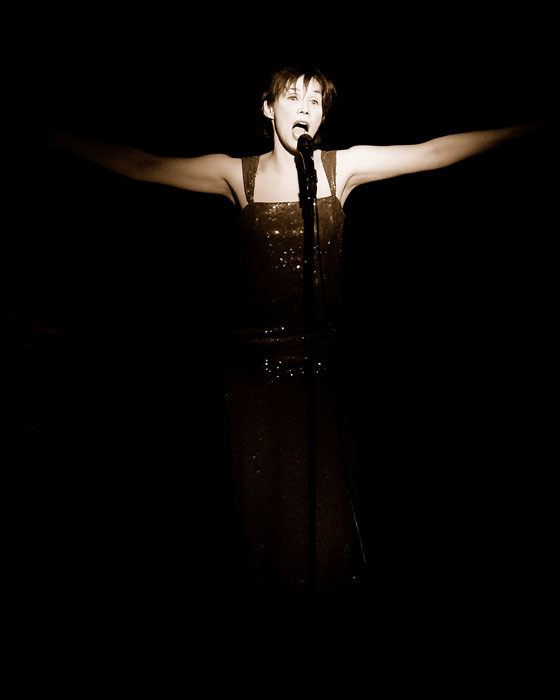 In August 2007, Isabelle was back at the Edinburgh Fringe Festival with a new cabaret show called La French Touche. Isabelle initiated Cabaret Terezin, a tribute to the artists- inmates of Terezin’s concentration camp, in the French adaptation by Boris Bergman and Josette Milgram. The show was presented in Paris at the Theatre Marigny in February 2009. Recently, Isabelle created her brand new show on composer Norbert Glanzberg’s work Ça c’est d’la musique!. Isabelle’s recordings include Une Etoile et Moi, her tribute album to Judy Garland (Beluga), Maury Yeston’s December Songs (PS Classics), a duet with famous jazz piano player René Urtreger Something to Live For (Elabeth), From The Shtetl to New York and Yiddish Rhapsody with Sirba Octet (Naïve). In December 2011, she completed a one-month run of Judy and Me at the Théâtre Antoine in Paris. Check out Ms. Georges’ website at: www.isabellegeorges.com. Judy Garland is worshipped in the United States and the United Kingdom. She is respected in France. What accounts for how she is perceived in France? Unfortunately, I have noticed that Judy Garland is not very well-known in France, and especially not amongst teenagers. People keep on watching The Wizard of Oz, but seldom know that Judy is the actual Dorothy. Now, I have met fans and musical theatregoers who all worship Judy as one of the greatest entertainers of all time. I have also met people who saw her perform in Paris at the Théâtre de Chaillot and at the Olympia. They have all told me that her first appearances in Paris were not so easy, since French people kept wondering who she was… But after her opening night, word of mouth spread: “the American Edith Piaf is in town!”…. and the next shows online ticket sales sold out the whole show. They loved her! How did your interest in Judy Garland first begin? When I was a kid, my father took my sister and me to the Mac Mahon to watch some MGM musicals. We also had tapes at home and we loved musicals!!! One day I saw A Star Is Born. I was eight and I will never forget it, because everything clicked for me! I realized what I wanted to do with my life: become a performer! How did you prepare to perform a show on Garland? For a long time, I had been watching her movies, TV shows (especially the Born in a Trunk sequence), listening to all the recordings I could get my hands on, reading every biography I could find at the time… Then I chose the songs I wanted to put in the show, and started writing around them the story I wished to tell. For every chosen song, I listened to Judy and versions of the same songs by other artists. Then I completely stopped listening to Judy or any other singer performing her songs, and I started working on the songs with Frederik [Steenbrink] at the piano. I tried, as much as I could, to find my own way of delivering the songs. 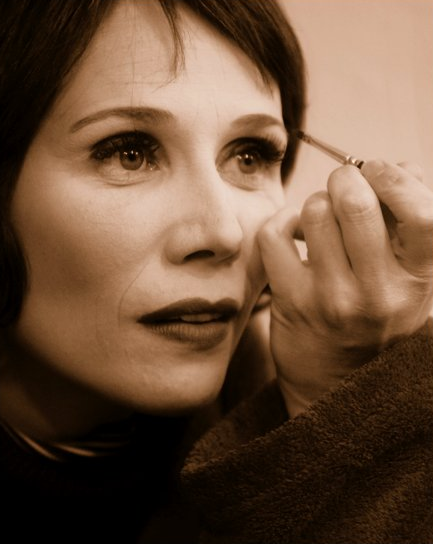 When you perform in Une étoile et moi [Judy and Me], you are yourself. That is, you do not imitate Garland in any way. Artistically, is it more difficult to be yourself or to become the character? Or do you do both? As Judy used to say: “Always be a first-rate version of yourself, instead of a second-rate version of somebody else.” For me it was clear from the beginning that I would never imitate her, I wanted to tell her story from my point of view. The show is not a perfect biography. It is my perception of Judy, the woman who inspired me to become a performer. I have seen many impersonators, but I have always felt that there was something too caricatural about their performances. Even Judy Davis’ portrayal of Judy was too much of a caricature for me – and I consider her to be a tremendous actress! In my experience, I have found that it is more difficult to be myself than to become a character. However, this challenge is the most exciting and rewarding part of it all! You have been performing Judy and Me for a few years now. How has the show changed over time? Over the years, we have added songs, written new scenes and made cuts. We have performed with and without an intermission, in French, in English, in opera houses, before 2,000 people, in very small theatres, in schools, and in four different countries… That’s what I love about living theatre — it is changing all the time, it evolves according to the country you are in and the audience you face. The show has changed because we, my partner and I, came to have a clearer vision of what we had dreamt of in the beginning. We developed our renditions of the songs as well as the key elements of the story. In your show, you sing “My Funny Valentine,” a song which Judy never performed. Why did you choose it? I chose “Funny Valentine” because it is a song in which a woman sings to a man with tenderness and a kind of motherly irony… From what I know about Judy’s personal relationships, I feel she could have sung this song with the same feelings of love, humor and truth. And in the show, I thought it was the perfect song to express the character’s emotions at that particular moment. You and Frederik Steenbrink, your pianist in Judy and Me, work well together. Judy worked with several distinguished pianists over the years. Do you think your collaboration with Steenbrink is an important element to getting her right? I never thought about it. But now that you mention it, yes! In fact, the choice of piano/voice was not at all a matter of financial concern. I chose piano and voice because that’s the way every song started in Tin Pan Alley, and also because the pianist is the closest person to a singer (especially when he is also the musical director). I love the image in Easter Parade when Judy sings “I Love a Piano,” or in A Star Is Born when she sings “Melancholy Baby” when we see only her and the piano-player. Judy had a very special sense of humor, which you convey quite well in your show. Do you think conveying her humor is important to understanding her? I think her humor is one of the most important things about her. The way she used humor to transcend everything that went wrong in her life. Have you considered taking Judy and Me to the States? Yes we have, and are working on it! Have you been approached to do the French version of the Peter Quilter play, End of the Rainbow? Yes I was, a few months ago. But, although the play is brilliantly written, in my opinion it doesn’t show the full spectrum of Judy and as I told you before. I would not like to impersonate her. Your voice is both powerful, very much in the Broadway tradition, but also delicate, very much in the French tradition. Garland too could belt, but also do ballads as no one else. In your words, and with your experience, how would you describe Garland’s voice? Do you have a favorite Judy Garland song? “By Myself” is my favorite Judy Garland song. For me, it feels like an autobiographic song. Some painters have their self-portrait; Judy’s self-portrait would be “By Myself.” Performance? Very difficult, but if I had to choose, I would say A Star Is Born, in which she proves that she is an amazing actress, singer and dancer ! Garland has often been compared to Piaf. Do you agree? They were both small women, they both died too early, and they both had a pretty rough life. Yet, when it comes to the way they sang and transcended life’s challenges and attacks, there is a huge difference: Judy’s sense of humor seems much greater, and her style of singing more varied. In the 1960s, Judy performed Charles Trenet’s “I Wish You Love” [“Que reste-t-il de nos amours?”] and Gilbert Bécaud’s “What Now, My Love” [“Et Maintenant”]. What do you think of her interpretations? Her interpretation of “I Wish You Love” in the 1963 TV version is breathtaking. She embodies the song as nobody else. I hear every word and I feel every vibration. It is amazing! As for “Et Maintenant,” sorry to be so upfront, but I simply hate this song: the melody, the writing. That being said, I definitely prefer Judy’s version to Bécaud’s. Judy has often been referred to as “the world’s greatest entertainer.” Others would argue that her singing was so penetrating that it sent an emotional arrow right through you. Do you think that Garland was more than just an entertainer? Oh yes, she is an actress, she is a clown, she knows how to convey emotions, how to touch your heart directly. She isn’t “doing” anything, she is, she feels. The words are coming out of her mouth in such a way that you are sure that she knows what she is talking about. For example, I recently heard an amazing concert version of “Just in Time” – no frills, it is simple and straight-forward. It seems as if she wrote the lyrics herself. Obviously, Judy is not of your generation. What does Judy have that appeals to a younger generation? Her sense of humor, the way she transcended problems in her life, her becoming a gay icon (i.e. the rainbow flag…). For me, we cannot associate Judy Garland with just one generation or period of time. She is one of the greatest artists of all time – an inspiration for everyone today! Currently, in France, the younger generation is struggling to find its place. There are a lot of social issues. When you listen to Judy Garland, it gives you the feeling that everything is possible. And maybe that’s something to which young people can relate.